Middleham-based handler Mark Johnston is having a terrific season with the horses he trains in the Yorkshire Dales. Although the Flat trainers' championship is based on prize money, the Scot is well out in front in terms of the number of winners he's saddled in 2018. With that in mind, we take a look here at four Johnston horses to follow for the rest of the season. Epsom Derby runner-up Dee Ex Bee disappointed when the first beaten in the Irish equivalent at The Curragh and five lengths down in seventh, but had shaped with real staying credentials beforehand. This Farhh colt is being aimed at the St Leger by connections as a result and is a best-price 10/1 for the final Classic of the year. Working back from Doncaster's big race is now the plan. Dee Ex Bee is likely to take the Group 2 Great Voltigeur Stakes at York in August on route. Whether he also races in the King George VI and Queen Elizabeth Stakes over 1m 4f at Ascot at the of July as well remains to be seen. Dual Listed winner Mildenberger has suffered setbacks that caused him to miss Royal Ascot and a trip to France. The three-year-old was a 4 1/2 lengths runner-up to subsequent Coral-Eclipse winner Roaring Lion in the Group 2 Dante Stakes at York when stepping up to a mile-and-a-quarter for the first time. Mildenberger is a 33/1 shot for the King George at Ascot, but a more intriguing 25/1 ante post punt to return to the Knavesmire for a crack at the Group 1 Juddmonte International during the Ebor Festival. German 1000 Guineas winner Nyaleti has been the subject of horse racing betting tips given by Oddschecker before. 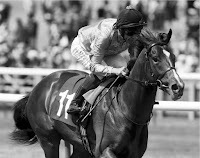 This filly is well-regarded, also winning at Listed and Group 3 level before that career best Group 2 success in Dusseldorf and was then far from disgraced when outclassed by the outstanding Alpha Centauri in the Group 1 Falmouth Stakes at Newmarket's July Festival. Initial entries in the Group 1 Nassau Stakes (1m 2f) and Group 2 Celebration Stakes both at Goodwood, and Fastnet Rock Matron Stakes on Irish Champions Weekend at Leopardstown in September have been made for Nyaleti. Four-year-old Time To Study has been highly tried in staying events this season and was a five-length runner-up to Torcedor in the Group 3 Sagaro Stakes over 2m at Ascot on his second start of the campaign. He followed that up with fifth in the Chester Cup and fourth in the Henry II Stakes at Sandown. A prominent run when sixth to Withhold in the Northumberland Plate at Newcastle may have put this son of Motivator in the running for the Goodwood Cup at the Glorious meeting. 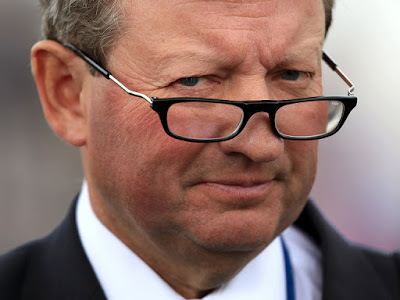 Time To Study is 50/1 for that Group 1 prize in early August, but it might be the valuable Ebor Handicap at York towards the end of the month that is the target.